These sophisticated yet bright tones harness the power to calm the senses, while simultaneously energizing the spirit. Fresh colors like Aqua Blue, Light Coral, and Iridescent Pearl work to alter our moods by igniting a sense of hope and renewal for the new season. This spring, spark your imagination and awaken your psyche with a healthy dose of Radical Optimism. This holiday season; lose yourself in deep, wondrous contemplation of all that shines and glistens. Inspired by visions of lustrous futuristic party wear, Deep Wonder fuses the fantastical with the cosmically mysterious. This strikingly bold palette merges dark shimmers and luminous finishes with a few distinctive twists on the classic holiday reds and mauve cremes. Colors as fluid & vibrant as the desert horizon at dusk. 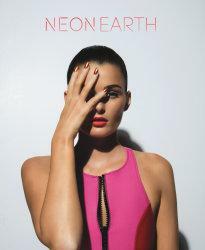 Neon Earth erupts with the glow of orange, hot pink & fiery copper as neons are reimagined & richly saturated. Amplified with the vibrant energy of fluorescent undertones & metallic, Pastel City delivers a dynamic twist on tradition. 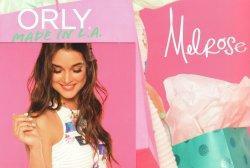 The concrete jungle shimmers in pastel shades with metallic finishes & cremes rich in color. Break the rules of style. Don't be afraid to clash. Sometimes the best ideas come from unexpected combinations. High and low. Dark and light. Soft and hard. You can be darling while defying all the constructs. You can live a life of luxury while being effortless and casual. Break out those worn-out boots with that cocktail dress. Wear your stilettos with yoga pants...do whatever works for you. Style by your own definition. As Fall arrives, our moods shift. The air cools; the leaves turn. We leave behind our flip-flops for ankle boots, and our beach-tousled hair for sleek, coiffed looks. As we prepare for winter, we turn into ourselves a bit more, becoming contemplative and introverted. We take comfort in textures and plush fabrics such as velvet to keep us warm and inspired. Instead of flirty pastels and bright neons, we seek bold, high contrast, dark shades and new takes on classics that reflect our multi-dimensional impassioned spirits. Our autumnal transformations are not complete without touches of decadence delicately spun throughout our looks. Dripping popsicles, the scent of sunscreen, vacations to faraway places. These are all synonymous with summer fun. But perhaps the most exciting part of summer? The summer fling. No hassles, no commitments, just the fun of the flirt. Grab that hottie in the boardies across the way and step outside your comfort zone. It's time to be adventurous with no regrets! 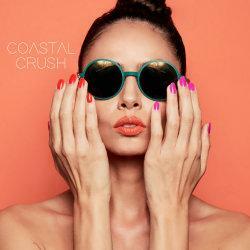 So, tell your coastal crush to meet you at the boardwalk for a midnight makeout. No shoes necessary for this rendezvous - all the better to sneak out of your family's hotel room. People flock from around the country and around the world, to be in L.A. and make their wildest dreams come true. Here you can be who you want to be and anything is possible. Some may think our heads are in the clouds, but we know this is where we are meant to be. NEW! 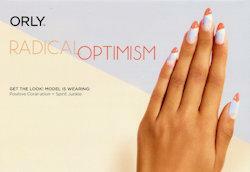 Advanced Oxygen Technology - Oxygen and hydration penetrate to the nail allowing it to stay moisturized. With Argan Oil, Pro-Vitamin B5 & Vitamin C, it nourish and hydrate while strengthen and grow nails. All-in-one longer lasting formula, cuts manicure time in half. No basecoat or topcoat needed. On the mile-and-a-half stretch of Sunset Boulevard that extends from Hollywood to Beverly Hills deals are made. Stars are born. Over-sized billboards blink in sync with over-sized egos as tourists and wannabes crowd into some of L.A.'s most storied nightclubs. The Sunset Strip is where you go to catch a glimpse into the private lives of the rich and famous. Whether you're tearing up the curves on the infamously treacherous stretch of asphalt known as The Snake or partying all night long in the multi-million dollar mansions that dot the hillside along L.A.'s most scenic roadway, Mulholland Drive is a beautifully, disorienting drive that crosses back and forth between stunning reality and the fiction of fame. For the ultimate top-down scenic drive, head to the ribbon of highway that hugs L.A.'s breathtaking coastline. PCH meanders through the seaside cliffs and tiny beach towns that pop up every few mile along the Pacific Coast Highway. Take a stroll down the famous and funky indie shopping mecca that stretches from Silver Lake to Santa Monica. Here you'll find designer couture, funky indie shops, restaurants and one of L.A.'s most popular flower shops.